Studio Berreth | There are boundaries, and there are bridges. There are boundaries, and there are bridges. A collaboration with Ken Stewart (composer) and Sarah Goetz (linear video). Custom software written in C++/OpenGL/OpenFrameworks, Max/MSP/Jitter, digital video/audio source material. Microsoft Kinect full-body tracking for interactivity. “There are boundaries, and there are bridges” was a collaborative, interactive art piece, which featured libraries of media from the combined accepted submissions of an digital humanities and arts festival. 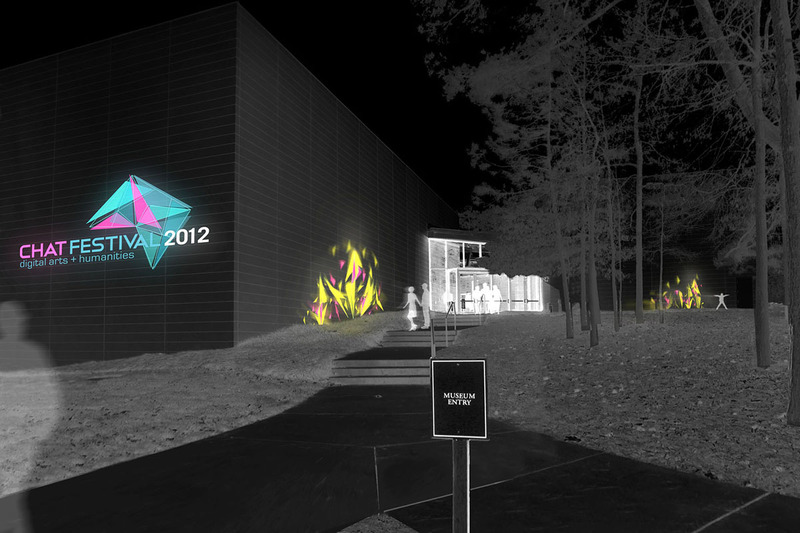 It was a marque piece, featured at the entry of the main venue, the Nasher Art Museum. 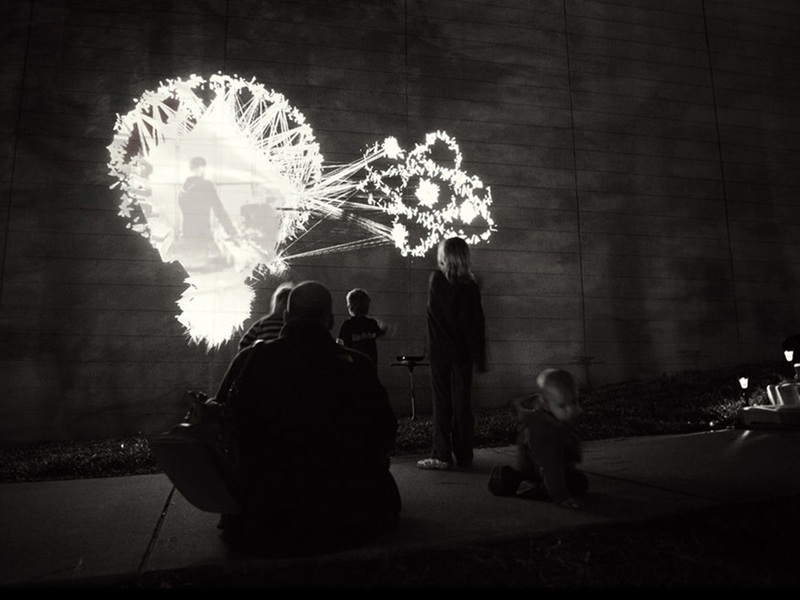 The piece combined the media into an interactive dynamic visual display and soundscape, suggesting evocative hybrid linkages between the disciplines and assorted projects represented at the event. 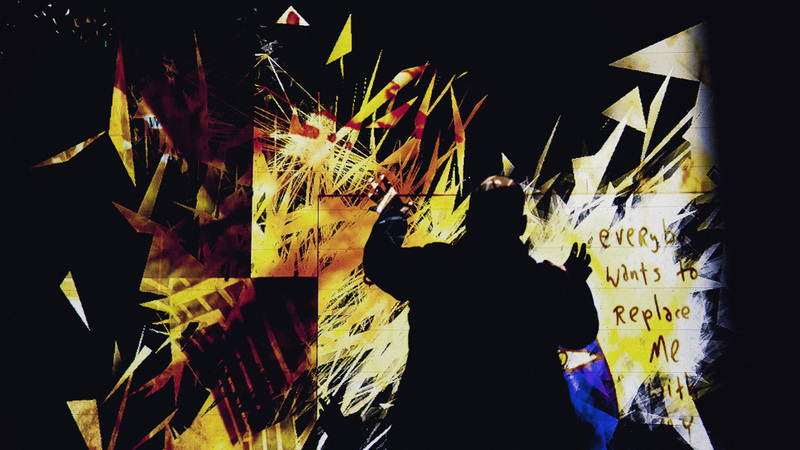 The artwork was fully interactive via a Microsoft Kinect; the piece signaled the arrival of the festival participants, and allowed them to explore the virtual space.